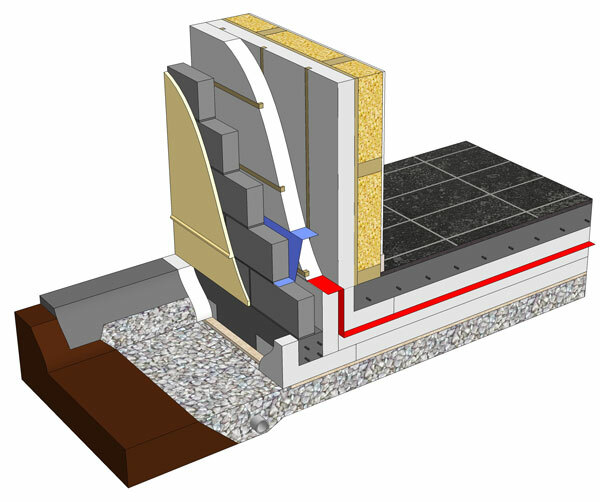 Passive Slab is Passive House certified to deliver the lowest U-value (as low as 0.08W/m.K) on the market and eliminates the critical wall-floor Cold Bridge. 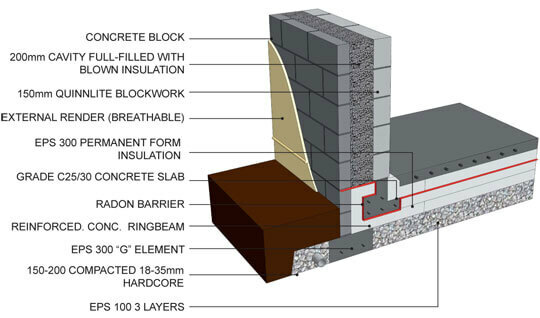 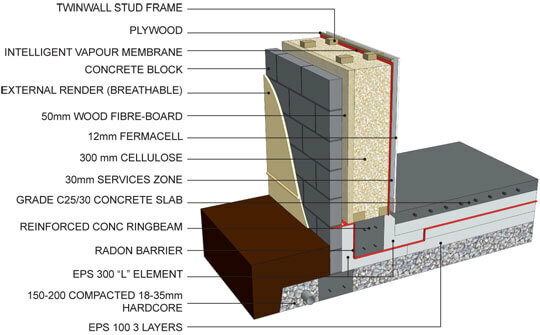 Passive Slab is highly versatile and an excellent choice when building a cold bridge free Timber Frame, ICF or block, Passive House. 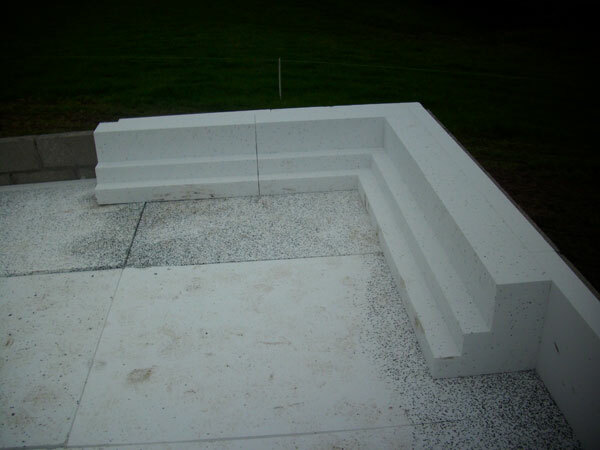 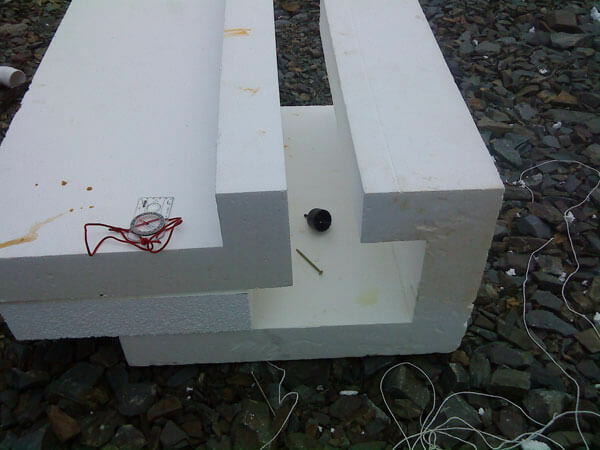 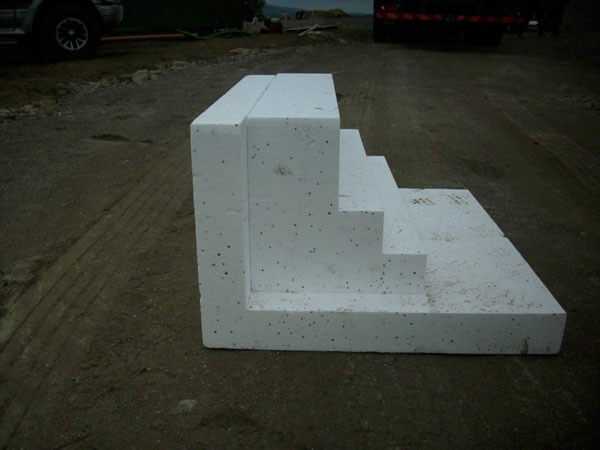 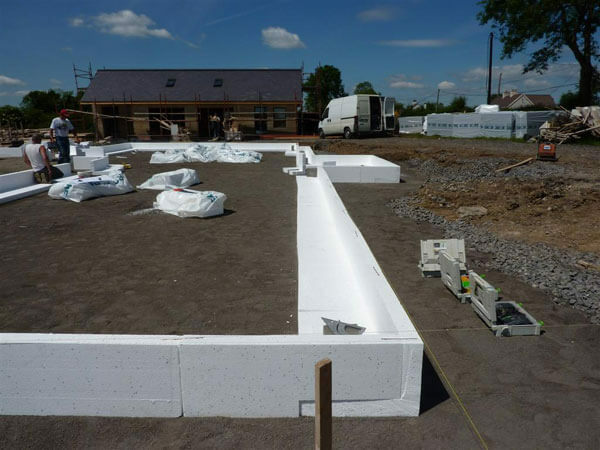 Using high density Polystyrene (EPS) Passive Slab easily takes the weight of a 12m high block wall but the weight of every house should be calculated before using a Passive Slab. 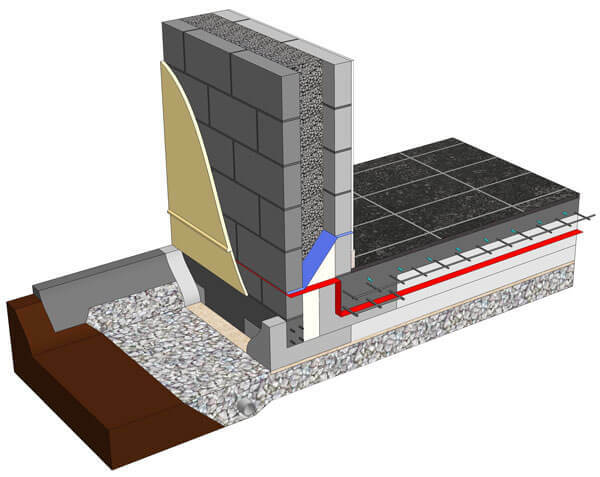 The more you insulate the walls and floor of a house, the colder the wall/floor cold bridge gets, increasing heat-loss and the risk of condensation, fungus, mould growth above the skirting so insulating the junction becomes crucial. 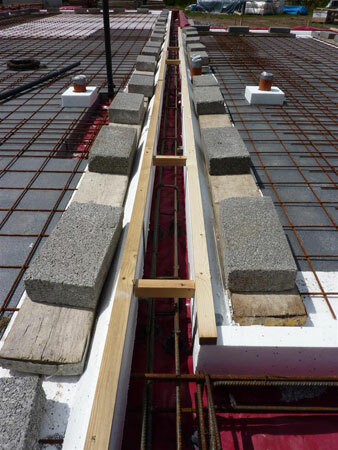 This independent Structural Engineers Report has information on the load bearing capacity and a structural overview of our various foundation solutions. 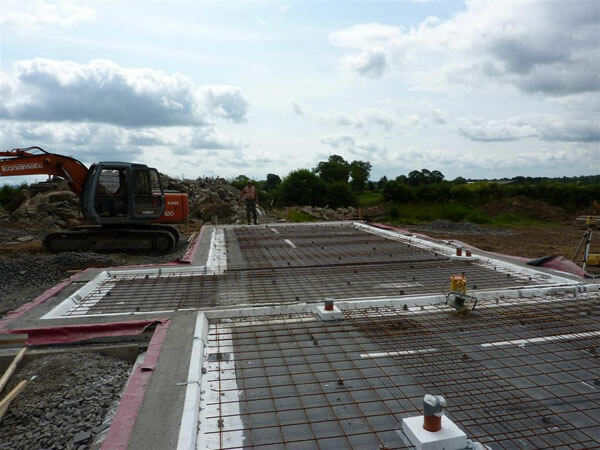 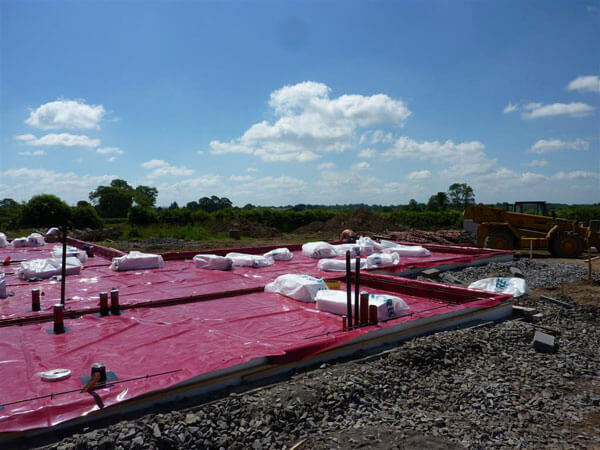 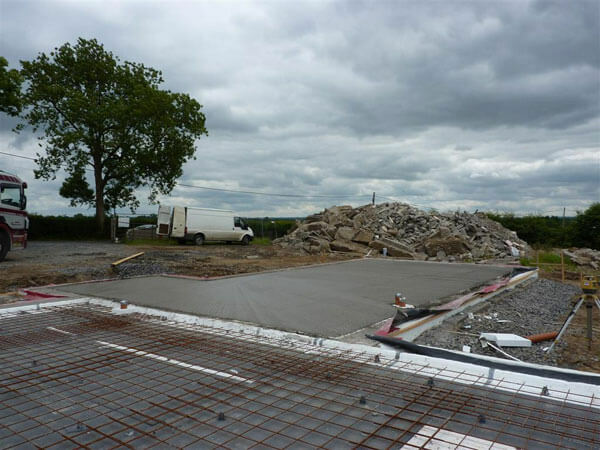 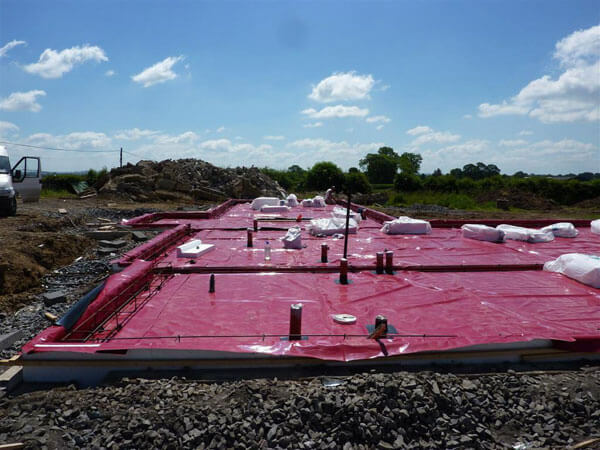 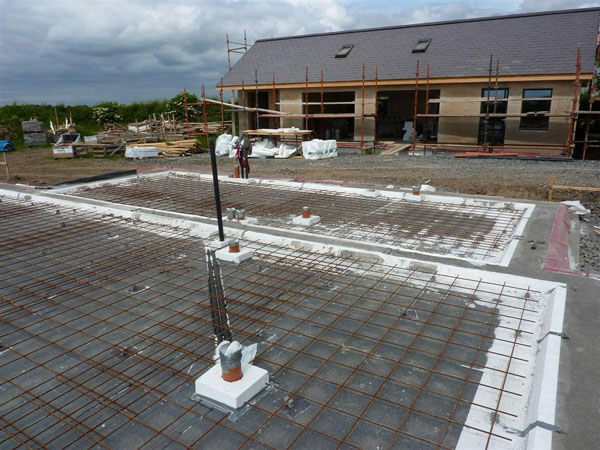 What makes the Passive Slab cheaper than traditional Strip Foundations? 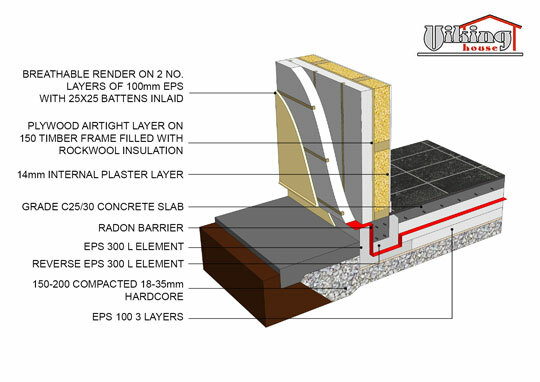 Internal load bearing walls are built on a thickened slab on EPS300 so there are no external or internal footings. 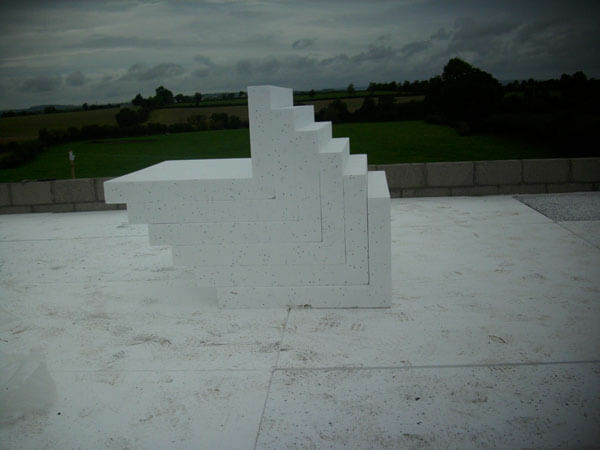 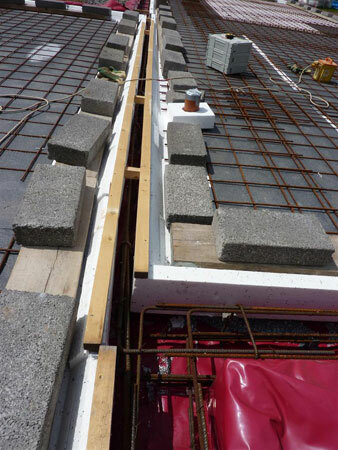 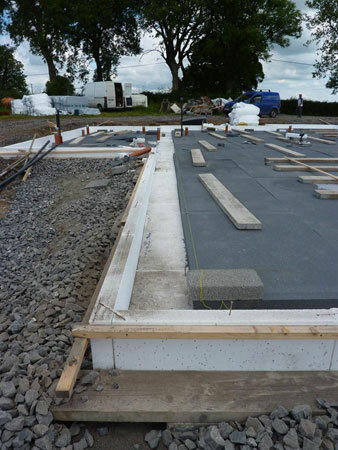 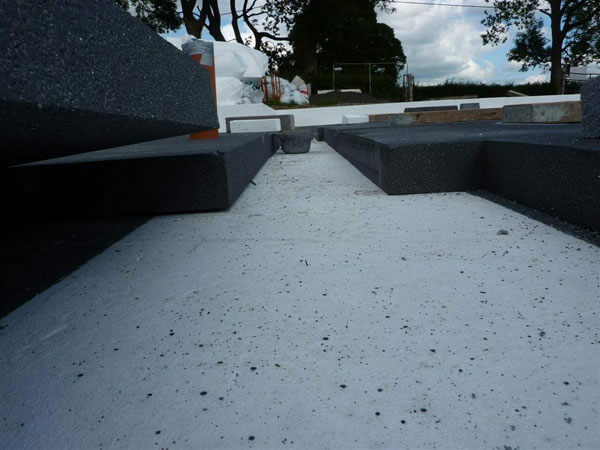 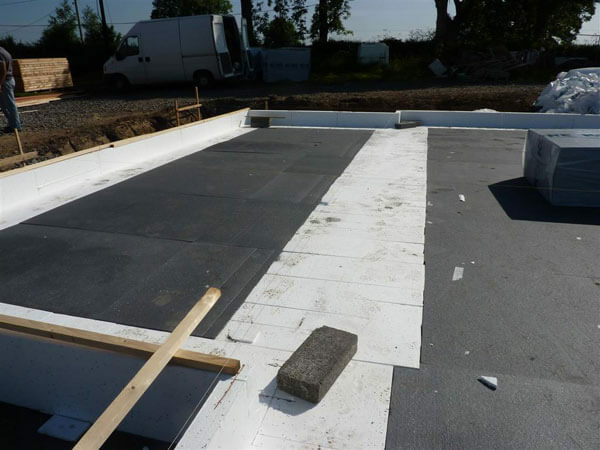 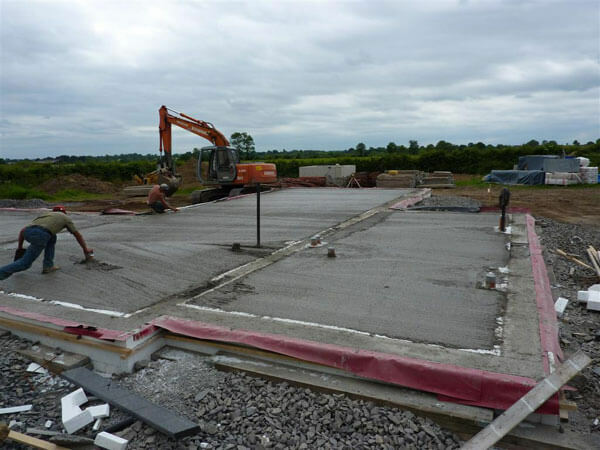 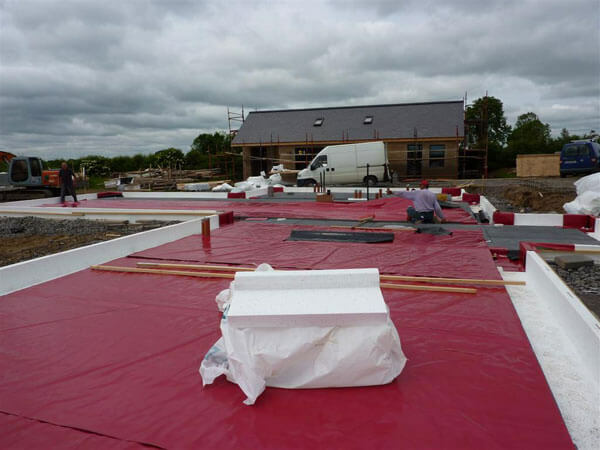 Its much quicker to install a Passive Slab, so labour costs are reduced by 20%. 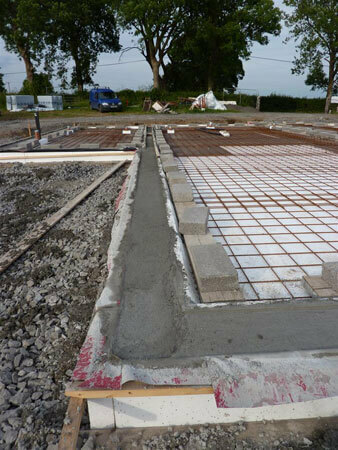 60% less concrete is required because there are no footings or screed to pour, so the concrete is poured only once. 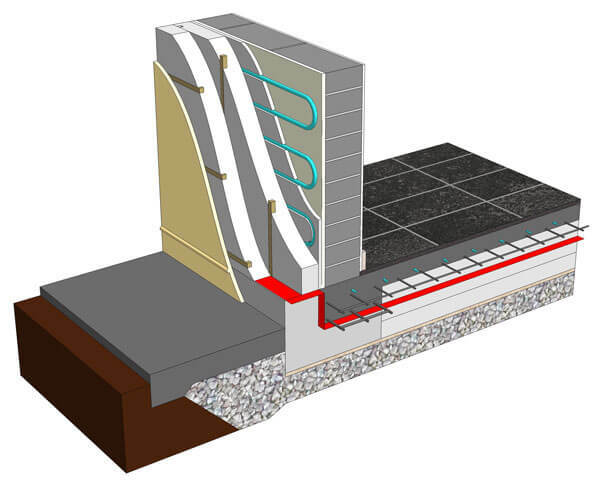 This lowers the carbon footprint of the house. 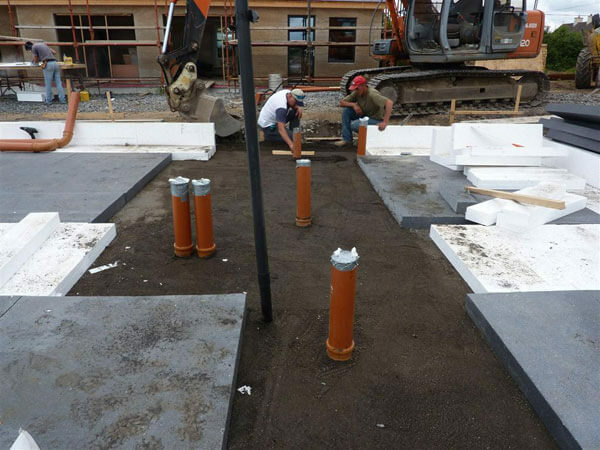 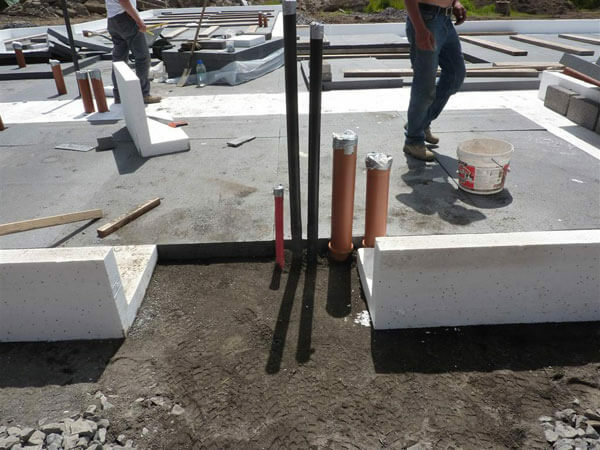 The unique shape of our Passive Slab foundation elements delivers a high yield from a block of EPS, cutting down substantially on waste. 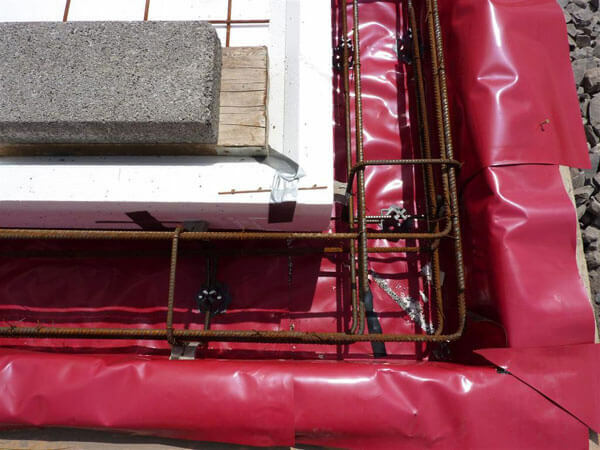 The width of the ring-beam in the Passive Slab can be varied on site ensuring that the threshold Cold Bridge is eliminated and our competitor's ongoing problem of where to run the Radon barrier is easily solved. 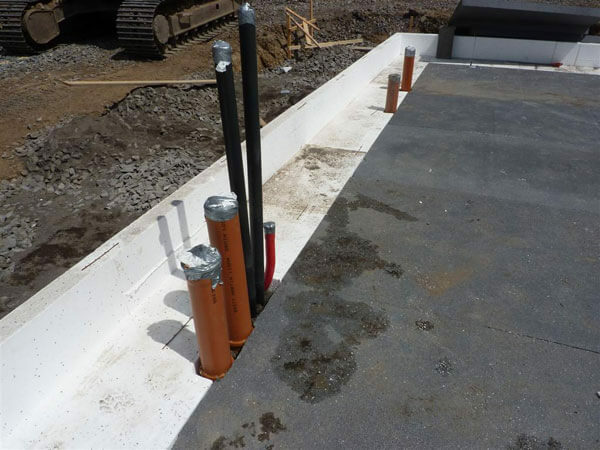 Heavy internal loads can be easily taken onto the insulated foundation by thickening the slab to 200mm and using EPS 300 under the thickened slab. 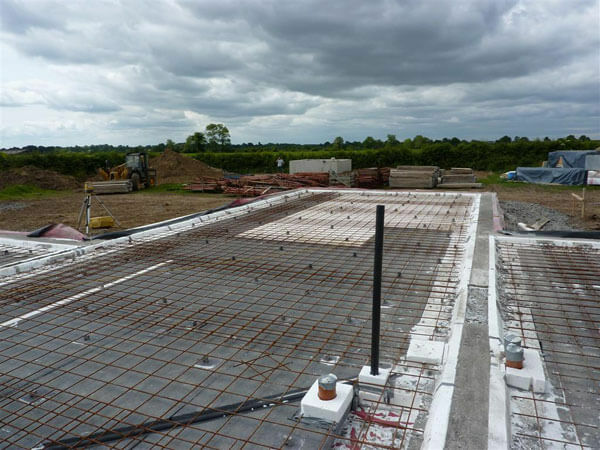 Viking Raft Slab and Viking Waffle Slab are suitable for soft ground conditions, the weight of the house is transferred throughout the slab, so we have solutions for most situations. 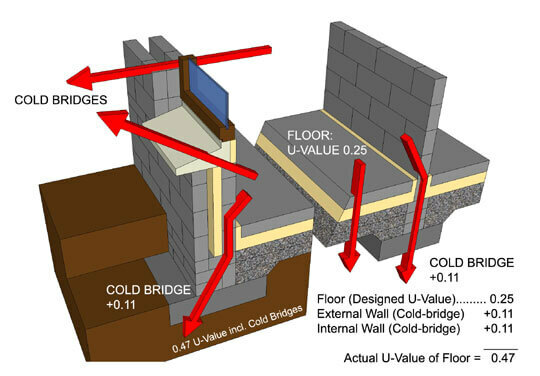 The floor below was designed to have a U-value of 0.25W/m.K but when the heat-loss due to cold bridging was added the U-value jumped to 0.47W/m.K. 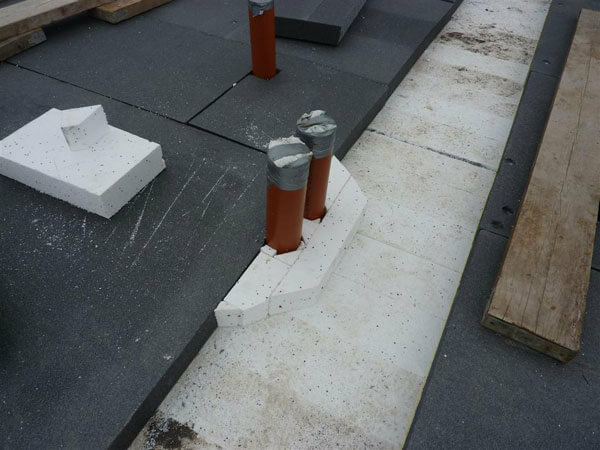 When we calculated the heat-loss at the front and rear door threshold and where the chimneys sit directly on the ground the actual U-value jumped to over 0.60W/m.K. 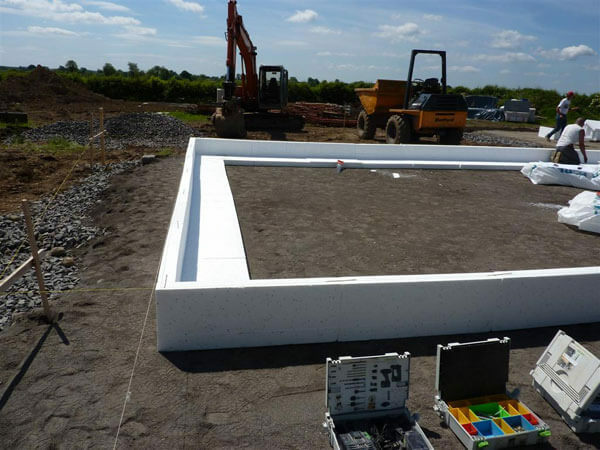 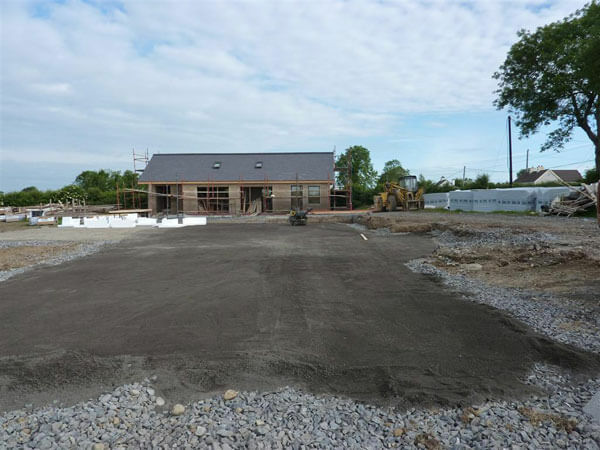 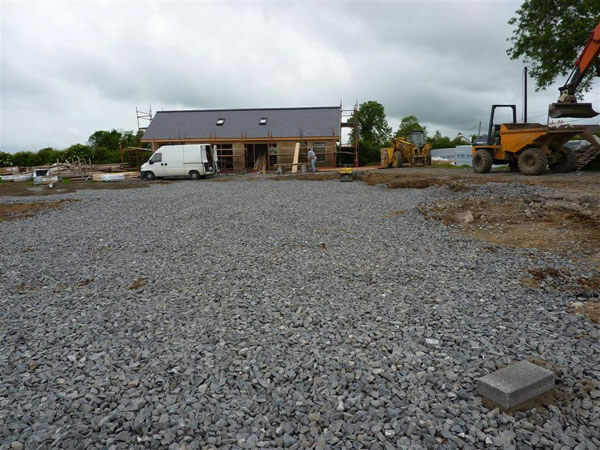 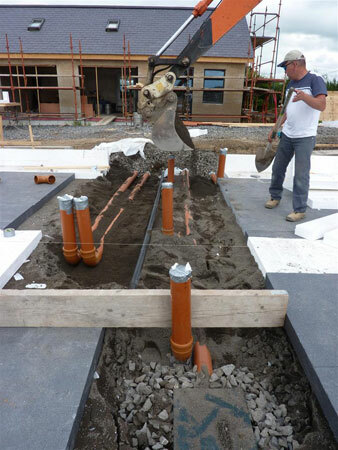 It's important to start with well insulated Passive Slab foundations when building a Passive house. 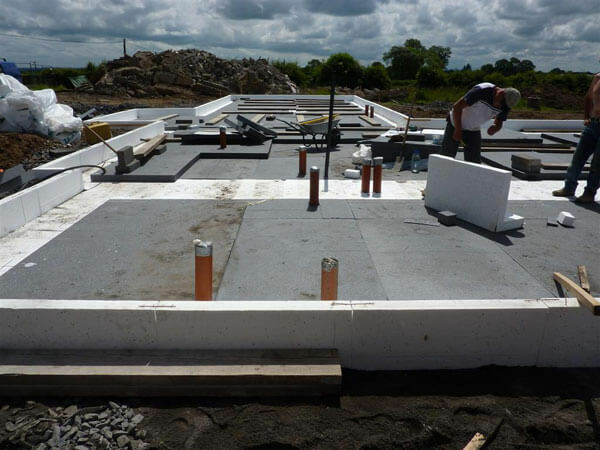 If a Passive house was built using standard Irish foundations, heat loss and condensation would occur at the wall/floor junction leading to fungus and mould growth. 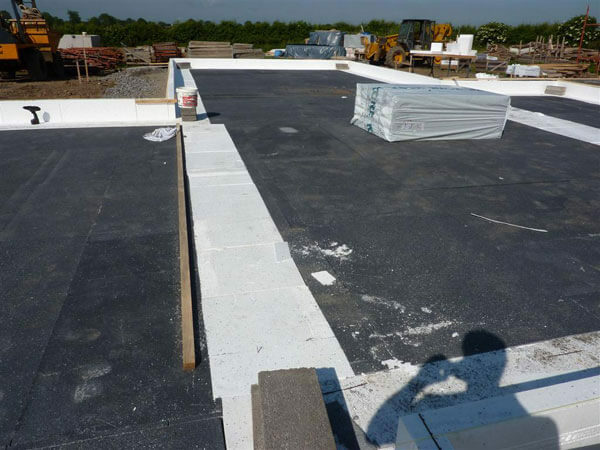 We don't use Polyurethane (Kingspan, Quinntherm) in wet areas under concrete floors in our insulated foundations because the Lambda value of PUR deteriorates as it gets wet. 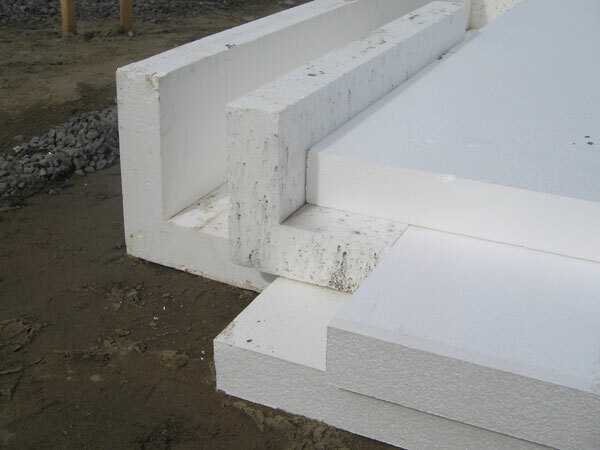 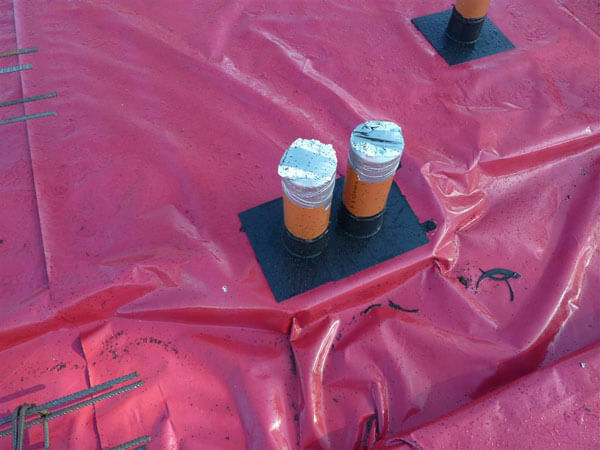 Layers of plastic below and above foundation insulation traps condensation and drives moisture into the insulation. 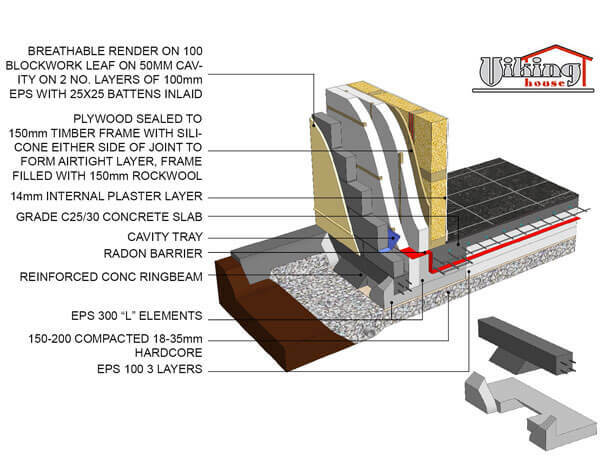 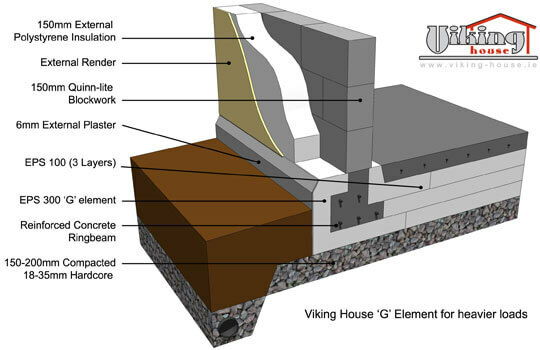 Viking G element (above) with Quinnlite (AAC) internal leaf and concrete block external leaf, 200mm cavity wall (below) filled with Platinum bead on a sawtooth beam, Viking Double L (above) with Timber Frame wall and concrete block external leaf on a separate footing. 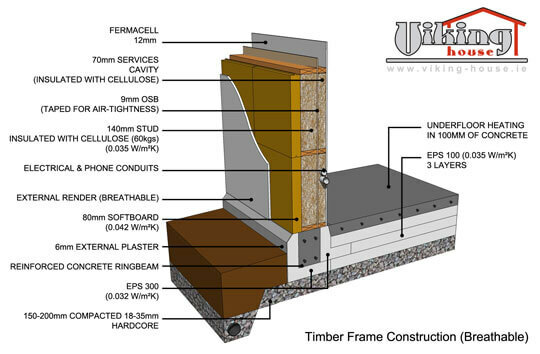 The backwards L (below) requires less support and offers improved U-values. 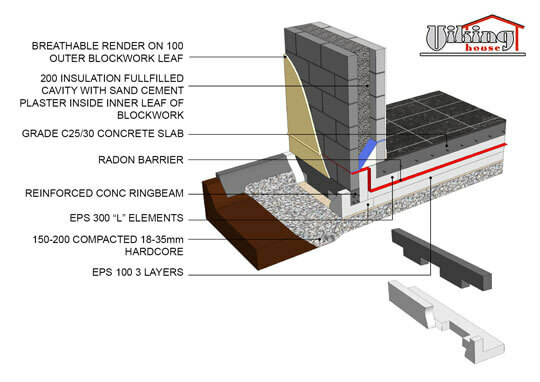 You can see how easy it is to run the Radon Barrier with our system.